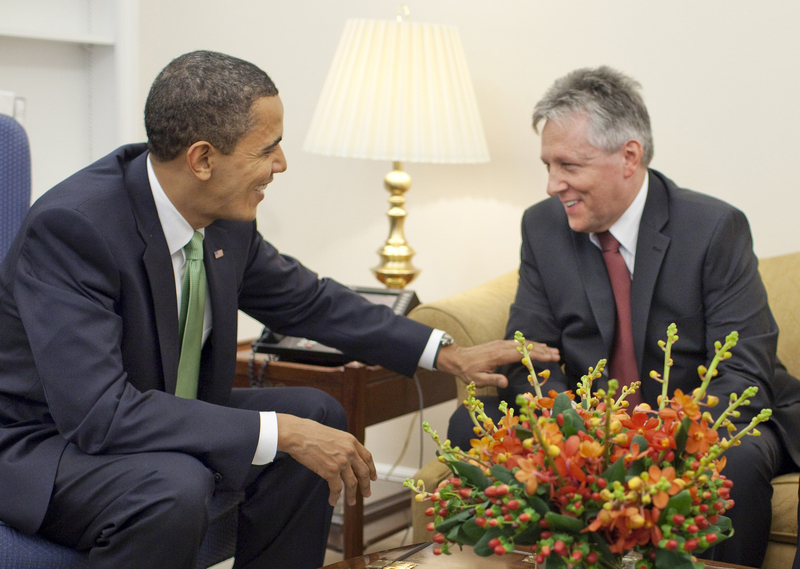 President Barack Obama meets with Northern Ireland First Minister Peter Robinson at the White House, March 2009. Via the White House. Northern Ireland has often been praised as an example of how carefully crafted democratic institutions can promote peace and stability in a deeply divided society. Many credit the power-sharing executive created by the Good Friday Agreement in 1998 for bringing stability and an end to the Troubles, a 30 year violent conflict between the Nationalist (mostly Catholic) community and the Unionist (mostly Protestant) community. Yet, as in much of the world today, reduced conflict between the communities in Northern Ireland has relied heavily on the ability of leaders in both communities to exert control over radical elements within their ranks. On Thursday the stability of the power-sharing executive was threatened when the Democratic Unionist Party (DUP), the largest Unionist party and co-head of the power-sharing government, withdrew its ministers from the executive and leader Peter Robinson resigned as First Minister. 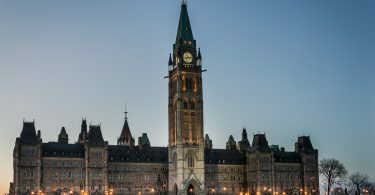 If Robinson does not nominate ministers within seven days the executive will dissolve, resulting in fresh elections or the imposition of direct rule from London. Robinson’s withdrawal comes amid a period of high tension between the DUP and Sinn Fein, the largest Nationalist party in the Northern Ireland executive. The current instability started on August 12th when former Provisional Irish Republican Army (IRA) member Kevin McGuigan was shot and killed. The Police Service of Northern Ireland (PSNI) has said that although they believe individual members of the IRA were involved in the murder, the leadership did not sanction the killing. Although Sinn Fein has historically been identified as the political wing of the IRA, the party denies the IRA’s existence or involvement. In connection with the investigation, the PSNI arrested the northern chairman of Sinn Fein—a former IRA leader—just a day before the DUP withdrew. Although Robinson placed blame on Sinn Fein and the IRA for pushing “devolution to the brink”, the current crisis is the latest example of how dissent within the Nationalist and Unionist blocs can intensify hostilities between the two communities. This dynamic is one that has increasingly drawn the attention of the academic community. Scholars such as Donald Horowitz and Mia Bloom have shown how competition among factions within an ethnic group creates incentives for leaders to adopt increasingly radical behavior, leading to an array of extreme outcomes from hardline ethnic rhetoric to the adoption of suicide terrorism. Indeed, the DUP’s withdrawal is as much a response to increased criticism from within the Unionist community as it is to the murder investigation. Just days after the murder, the smaller Ulster Unionist Party (UUP) withdrew its single minister from the power-sharing executive, putting pressure on the DUP to take action or risk being perceived by its own constituents as collaborating with radical Republicans (those in the Nationalist community who are the core members and supporters of the IRA and Sinn Fein). While the killing has created an opportunity for the UUP, it has also highlighted internal dissent within the Nationalist community. The August murder was likely a revenge killing for the murder of another former IRA member in May. Many Republicans believe McGuigan was responsible for the May death due to a long running personal vendetta between the two. After the May death, former IRA members as well as smaller Republican splinter groups Óglaigh na hÉireann (ONH) and the New IRA promised revenge. McGuigan is only the most recent casualty in the feuding that has plagued the Nationalist community for decades. Violent feuds among Republican factions have been a central feature of the conflict and proved to be a major impediment to the peace process. In Power, Violence, and Victory: Why National Movements Compete, Fight, and Win, Peter Krause shows that the very establishment of the power-sharing executive in 1998 was only possible after the IRA and Sinn Fein were strong enough to exert effective leadership over the Republican community and constrain violent elements from the top down. Why has Sinn Fein recently struggled to restrain violence from former IRA members and other factions within the Republican community? While all of this was unfolding this summer, I was conducting field research in Northern Ireland and speaking with a number of people who highlighted disappointment over the peace process from segments of the Republican community. This growing sense of frustration has somewhat undermined Sinn Fein’s ability to serve as a policeman for its own community. As a result, conflict within the Republican community has been on the rise. Some former IRA supporters are frustrated because Northern Ireland is not as prosperous as they had hoped. Although the IRA and Sinn Fein advocated “Peace with Justice” throughout the Troubles, some feel that the same injustices that originally fueled the conflict in the 1960s persist. People pointed to a lack economic prosperity and high unemployment among the youth as a source of discontent. According to figures from the Labour Force Survey, the unemployment rate in Northern Ireland was 21.8% for those aged 18-25 during the first three months of this year. One person said that in some Republican working class areas of Belfast, youth unemployment is even higher and suicide rates are also on the rise. This is particularly problematic for Sinn Fein given that their core base of support has historically been young nationalists and the working class. Finally, many former IRA supporters have been alienated by increased crime in their communities. Drug-related crime has increased since the Good Friday Agreement, especially in Republican areas that the IRA formerly controlled and policed. According to the Institute for Economics and Peace, from 2003-2013 Belfast was one of the areas in the UK most affected by violent crime. While sectarian violence has certainly decreased since the end of the Troubles, people I spoke with said the absence of IRA policing in Republican communities has impacted the safety of these areas, resulting in a sense of alienation among some former supporters. Politics in Northern Ireland has followed the same trajectory over the past several decades—conflict between the two ethnic communities has been exacerbated by the contention and competition within them. Looking forward, the stability of the power-sharing executive in both the short and long-term will be affected in no small way by the capacity of the DUP and Sinn Fein to exert effective leadership over extreme elements in communities they represent. Victoria McGroary is a PhD candidate at Brandeis University. You can follow her on twitter @VMcGroary.